I have raved multiple times recently about the outstanding quality of the tile work going on at the house. 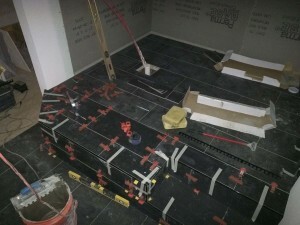 All of our tile is large format both on the walls and floors. 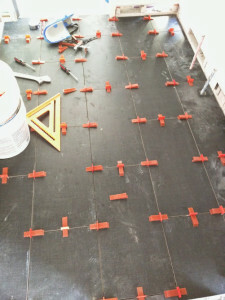 Even the best tile professional can end up with uneven results – called “toe-stubbers” especially with these big tiles. I’ve done large DIY tile jobs before and there were many “toe-stubbers”. 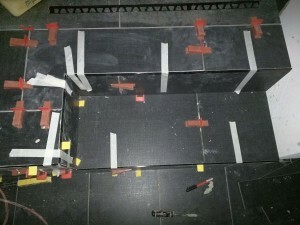 Even if you do manage to get the tiles to sit perfectly flush, they will shift and settle as the mortar sets up. Today I got a chance to talk to the tile guy and he shared his secret to perfectly flat, perfectly spaced tile. 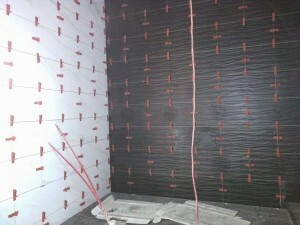 He uses the Riamondi Tile Leveling System. 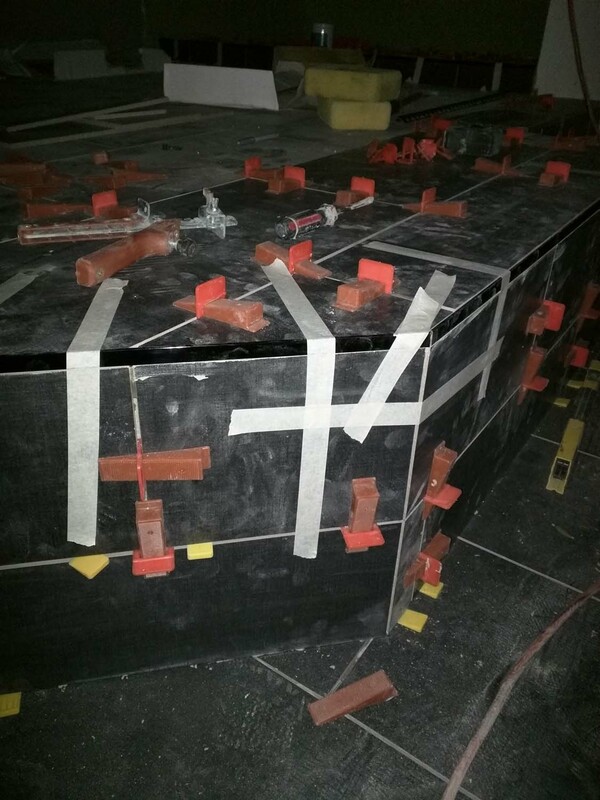 It’s an ingeniously devised system of plastic spacers and wedges that essentially clamp adjacent tiles together so that they’re perfectly level. You really have to see it in action to appreciate it; you can watch this demonstration video (warning: obnoxious music). 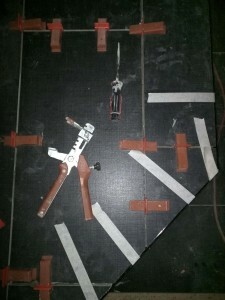 It works on both wall and floor tile and in addition to nearly guaranteeing perfect results in the hands of a professional, it also saves time and therefore money. Who doesn’t want that? Most of tiling is done. We just have bathroom tile; the kid’s bath is done and in the master just the shower portion and grouting remain. Here are some pictures of our tile going in. Wall tile in the master bath. Look for more about the Bedrosians black wave tile soon. The special ratcheting pliers for the leveling system. This is some complex work. I don’t ever want to have to redo this on my own.